As a Times correspondent in India, Neville Maxwell went through a transformation. 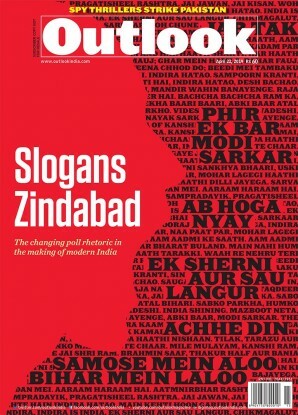 From being an admirer of India, he became a strong critic, even joining the western chorus predicting its collapse. Thailand-based Bertil Lintner, a Swede, made his mark while reporting on South Asia for the Far Eastern Economic Review. He dismisses Maxwell’s claims on the 1962 war as ‘rubbish’. The war between India and China over their 4,000-kilometre long, disputed boundary in the winter of 1962 lasted barely a month. But a war of words between two scholars on its origin and their attempt to identify the aggressor—leader of democratic India, Jawaharlal Nehru, pitted against Communist China’s Mao Zedong—is threatening to snowball into a major controversy that may last much longer than the 50-year-old conflict itself. Interestingly, the scholars are neither Indian nor Chinese, but European. And going by their prevailing stand, neither is willing to yield any ground to the other. London-born Neville Maxwell conti­nues to argue that Nehru’s faulty policies led to the war and India was the aggressor. Thailand-based Bertil Lintner, a Swede, dismisses Maxwell’s claim as “rubbish” and puts the blame squarely on Mao and his attempt to escape isolation in the Communist Party by playing up the boundary dispute to rally the party behind him for a war with India. The focus in India on the scholars’ competing views follows Maxwell’s making public the Henderson report. The focus in India on the scholars’ competing views follows Maxwell’s decision to make public an internal inquiry report of the Indian military compiled after the 1962 war—a document kept secret so far by successive Indian governments. But going by the timing of Maxwell’s decision, many wonder if he wants “Nehru’s folly” to become an issue in the high-stakes campaign of the Lok Sabha elections. Predictably, Maxwell, author of the controversial India’s China War, is a much-disliked figure in India. Lintner, the author of several books on the region and who is working on his new project—the 1962 conflict—is seen as a ‘neutral’ figure in New Delhi. Both have had long journalistic careers. Maxwell worked for The Times, London, and was based in India as its correspondent in the late ’50s-early ’60s. Lintner made his mark while reporting on the region for the now-defunct Far Eastern Economic Rev­iew. While Indians aren’t prepared to wel­come Maxwell to the country, Lin­tner is barred from travelling to Myanmar. Interestingly, Maxwell went through a drastic transformation during his stint in India. From being an admirer of India and PM Nehru, he became one of its strongest critics—exemplified not only by his stand on the ’62 War, but also for being among western scholars who predicted a collapse of the Indian state. Maxwell’s opinions changed after a visit to China in the mid-1960s (he travelled there on an aircraft with the then Pakistani foreign minister, Zulfiqar Ali Bhutto) and met Zhou Enlai and other senior Chinese leaders. Often described as the “last surviving Maoist in the West”, he never met Mao. Maxwell’s controversial position on the Sino-Indian War got a fresh lease of life when he put up the aforementioned Henderson Brooks-P.S. Bhagat report— compiled after the 1962 rout and popularly known in India as ‘the Henderson report’—on his website early this month. But the authors of the report, Lt Gen Brooks and Brig­adier Bhagat, went far beyond their brief, pinning the blame of the defeat squarely on the political leadership and its interference in military matters. They were denied access to many dep­artments involved in the decision-making during the war. Thus, many believe, and with good reason, that the report had inadequate grounds to apportion blame for the defeat. The situation was further compounded by India’s decision to lock it up as a secret—a concealment that remains in force. However, the counterpoints being rai­sed by Lintner (see interview) had also been raised by some other leading scho­lars in the past. Harvard historian Rod­erick MacFarquhar had argued, by dub­bing the 1962 war ‘Mao’s India war’, that it was the Chinese who were the agg­ressors. More scholars have joi­ned in picking holes in Maxwell’s thesis. “Attempts to make a case against India on the basis of the Henderson report and without access to any Chinese material is bound to be faulty,” says Srinath Raghavan of Delhi’s Centre for Policy Research. “After Chi­nese archives have opened up, it clearly shows that the 1962 conflict was a much more complex issue and the res­ult of domestic, regional as well as international developments,” he adds. Oxford historian Rana Mitter, who teaches history and politics of modern China, points out that in 1962 there was “considerable friction” within the Chinese Communist Party. The terrible famine after the ‘Great Leap Forward’ allowed leaders like Li Shaoqi and Deng Xiaoping to reintroduce a limited market system to alleviate the situation. “Mao felt that his position as ideological heg­emon of China was bec­o­ming vulnerable.” At the same time, he keenly sha­red with other leaders China’s isolation in the wake of its split with the USSR in 1960. “This meant that trying to make the lim­its of China’s border clearer was a pol­icy that could unite members of an otherwise divided leadership,” adds Mitter. Maxwell’s book dwells neither on the domestic scene in China nor the international environment in which the 1962 war was fought. Part of this could well be because of his lack of access to Chinese material, despite his avowed closeness to Premier Zhou. This is also acknowledged by Maxwell—in his book, he praises India’s ‘openness’, while contrasting it with China. “....no government is more secretive as to its inner processes than that of the Peo­ple’s Republic of China, and in tracing Chinese policy formulation I have had nothing to go on beyond what is on the public record,” Maxwell wrote. This may well be the case, but it is also a fact that unlike in India—where the war still plays a role in defining Sino-India ties chafing under an unresolved boundary dispute—the conflict hardly gets a mention in China. It’s rarely put in the same category as the Korean War or the Taiwan Strait crisis. 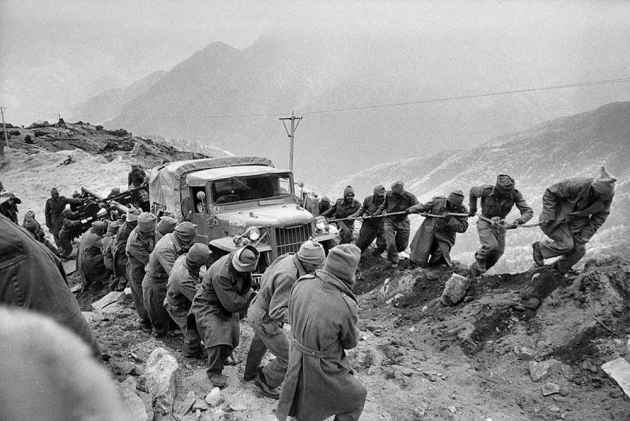 Can it be that Indians too would begin to put the 1962 crisis in the proper perspective and desist in future to see its relationship with China thr­ough the war’s emotionally tangled prism? Chances of that seem highly unlikely now. If the ongoing controversy between the two scholars is any indication, the issue is likely to remain bitterly divisive in India for years. On key overlooked questions by Neville Maxwell while dealing with the Sino-Indian war.